Before introducing you to the Horizon PC74 model, a powerful, luxurious and well built catamaran, following are a few facts about the company. 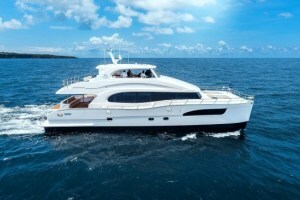 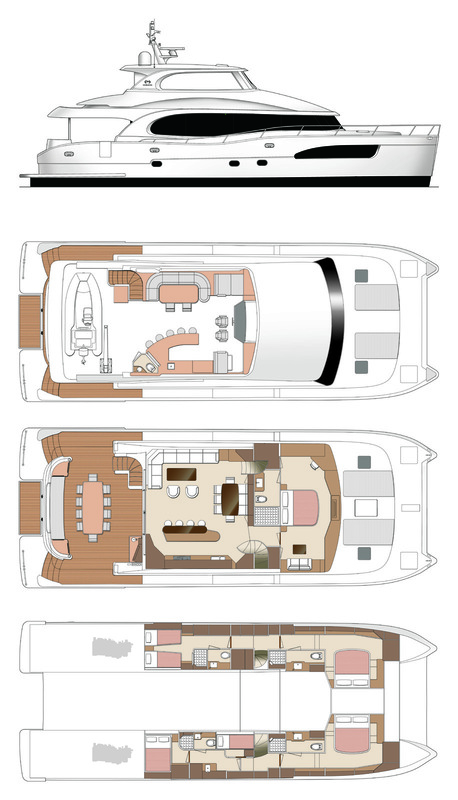 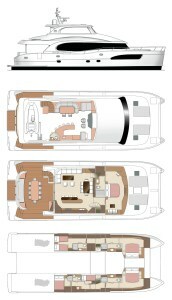 Horizon is a major yacht manufacturer located in Taiwan and it manufactures very high quality yachts from 60 to 150 ft. 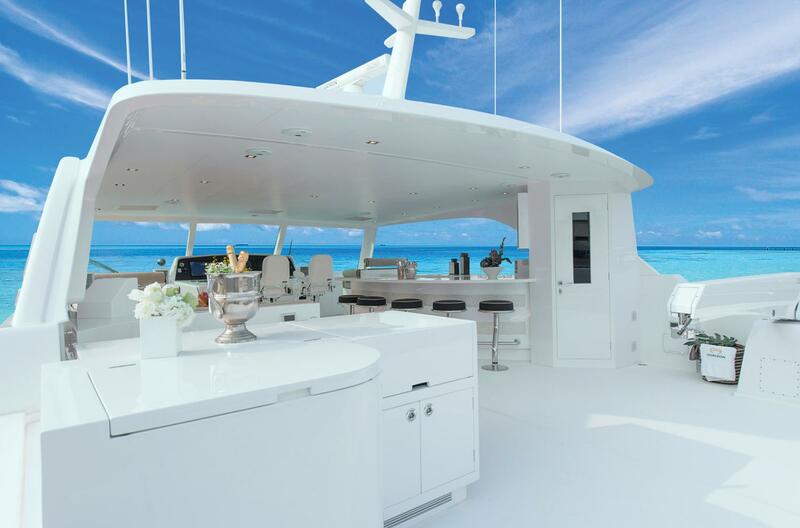 This shipyard is rated in the prestigious top 10 largest yacht manufacturers in the world with a very varier fleet from yachts, megayachts and catamarans. 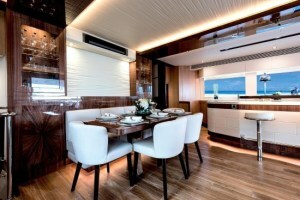 Now, the PC74 catamaran is manufactured by Horizon. 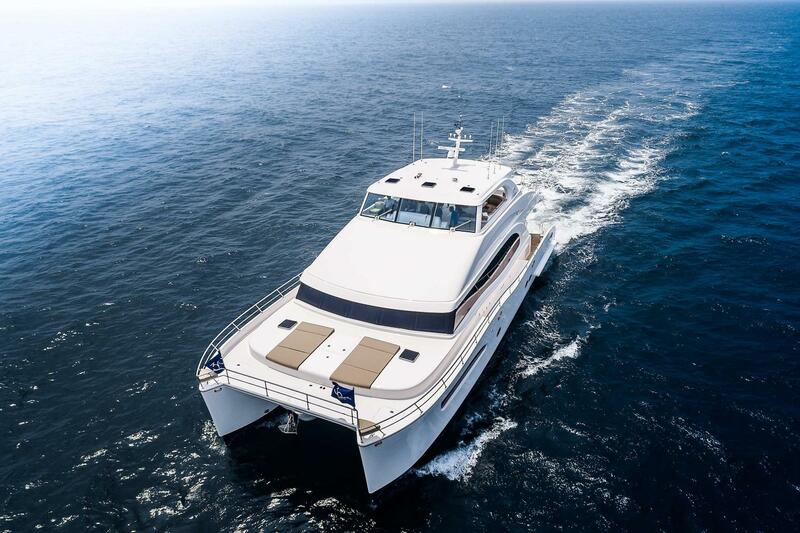 It is a high quality, very luxurious Cata, equipped with two CAT C-18 engines to allow an easy and fluid displacement for this yacht weighing in at more than 160,000 lbs and can reach more than 24 kn. The PC74 is the big catamaran manufactured by Horizon. 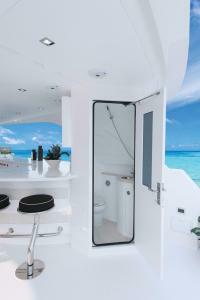 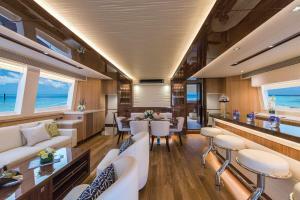 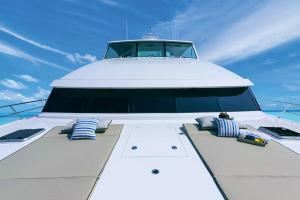 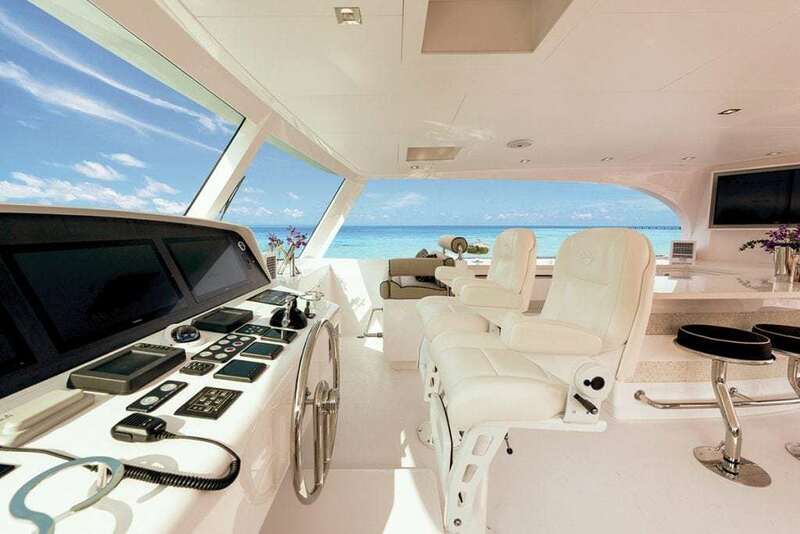 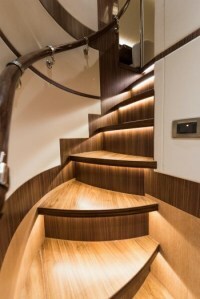 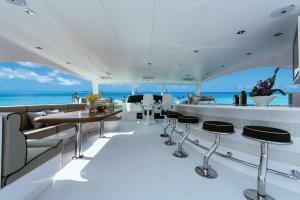 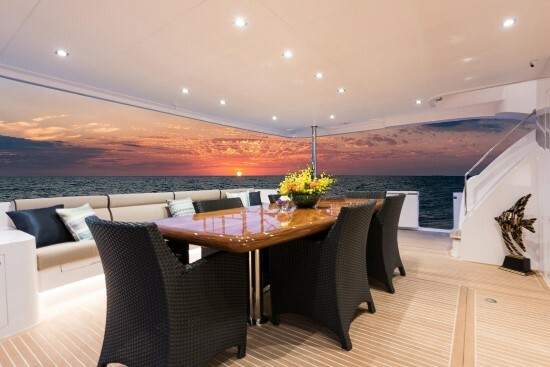 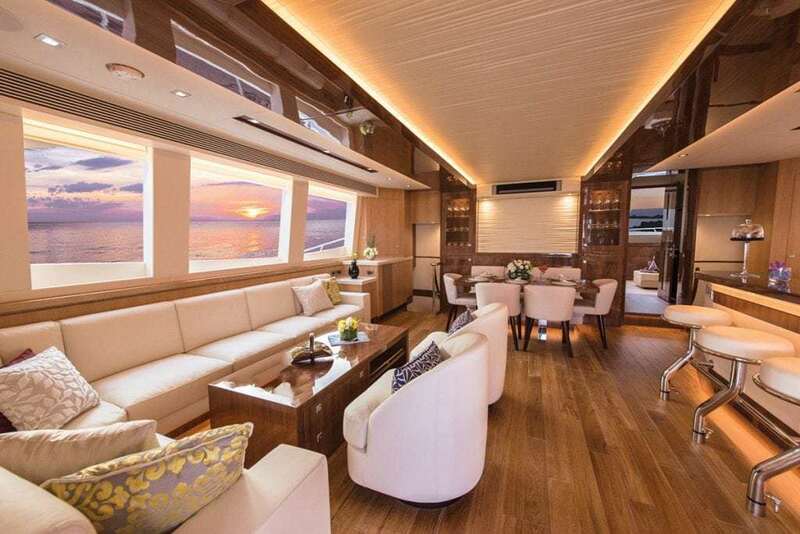 As soon as you get inside, you’ll have the impression of being on board a cruiser (monohull). 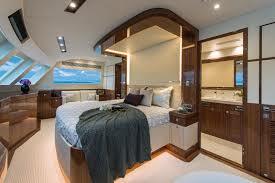 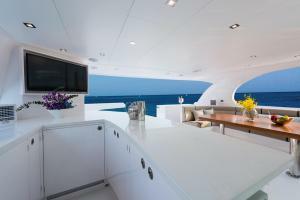 The luxury, the facilities, the decoration with a 5 stateroom layout of which that of the owners is on the main deck. 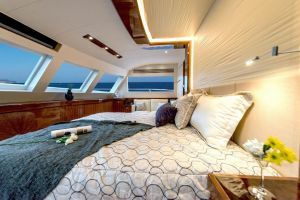 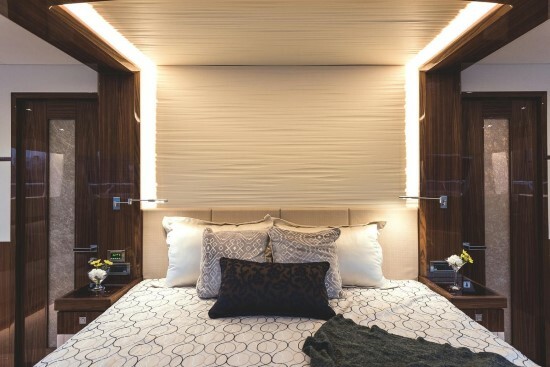 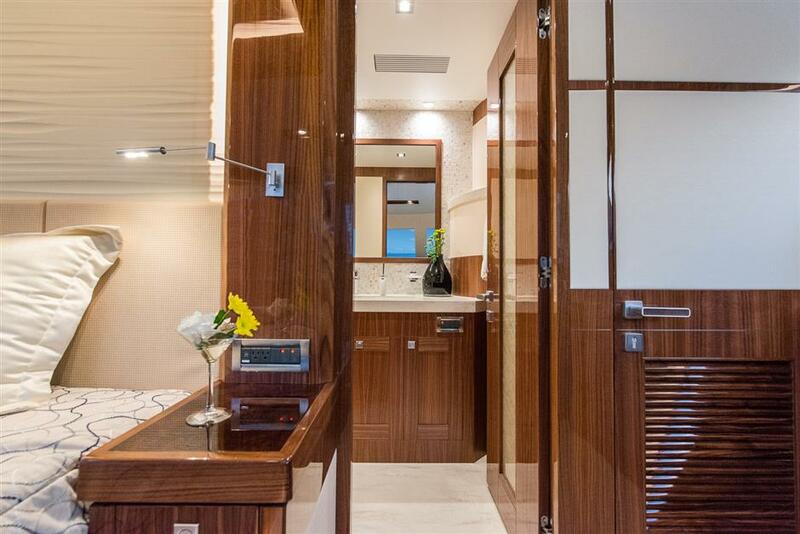 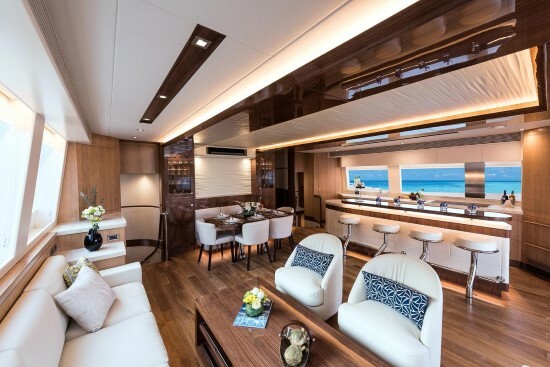 This catamaran will leave you knowing you have made no compromise in relation to a conventional yacht, on the contrary, you will even be allured by the 4 lower staterooms of which two are real VIPs. 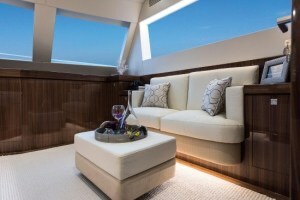 The flybridge is really very interesting. 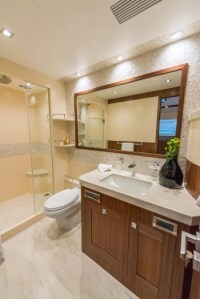 It is large, spacious, very well configured and furnished especially with a head on the same level. 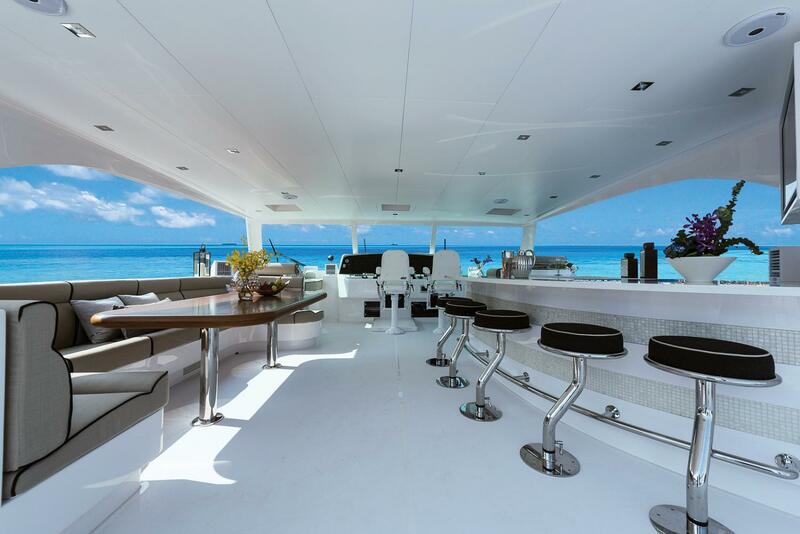 Horizon has hit a homerun with this fly, with entertainment areas and a huge bar and if necessary, you can even arrange it to be completely sheltered from the weather. The cockpit area is also strangely similar to that of a yacht. 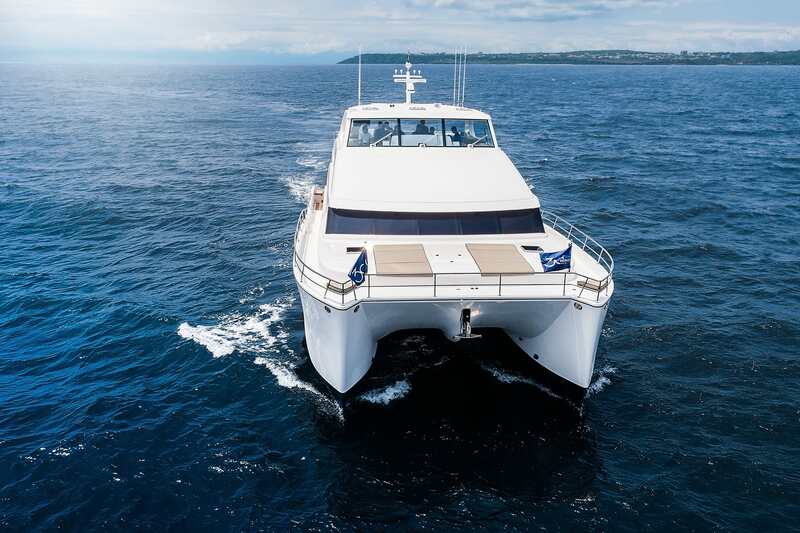 Really, you have the best of both worlds, the stability and comfort of a catamaran in an environment as luxurious as a luxury yacht. 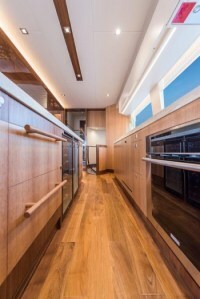 The storage is abundant and well thought out. The overall impression you will have with this catamaran is unquestionably excellent. 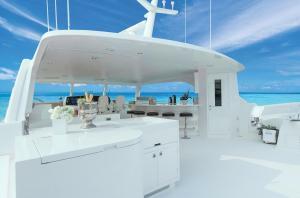 Maybe a slightly sexier exterior look would have been appreciated, but the rest is impeccable. 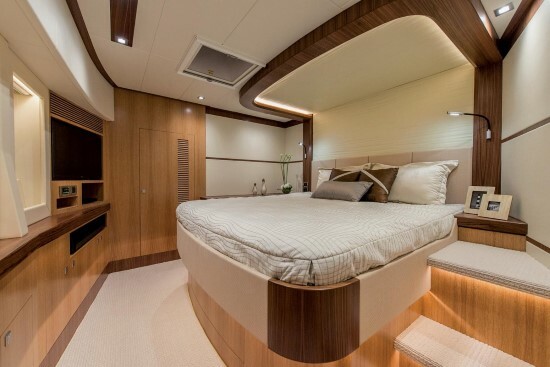 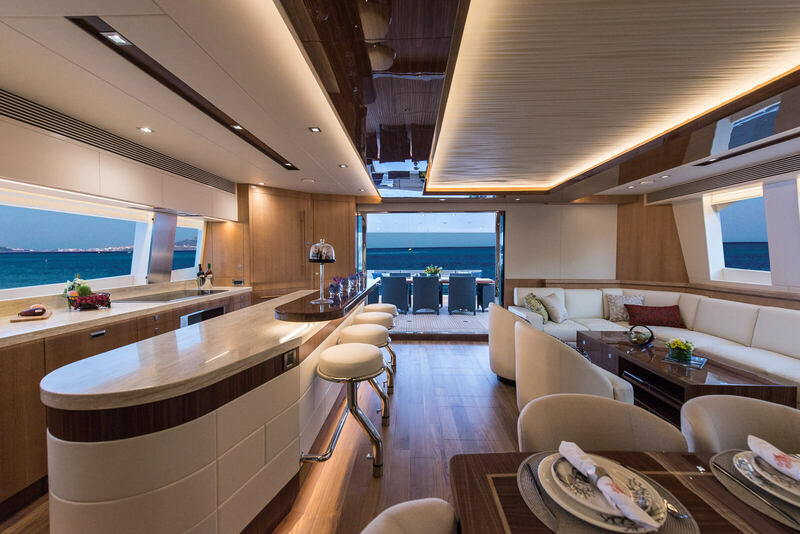 The high-end catamarans are much in demand right now in which Sunreef Catamarans also stand out and are converting lovers of luxury yachts to this type of hull. 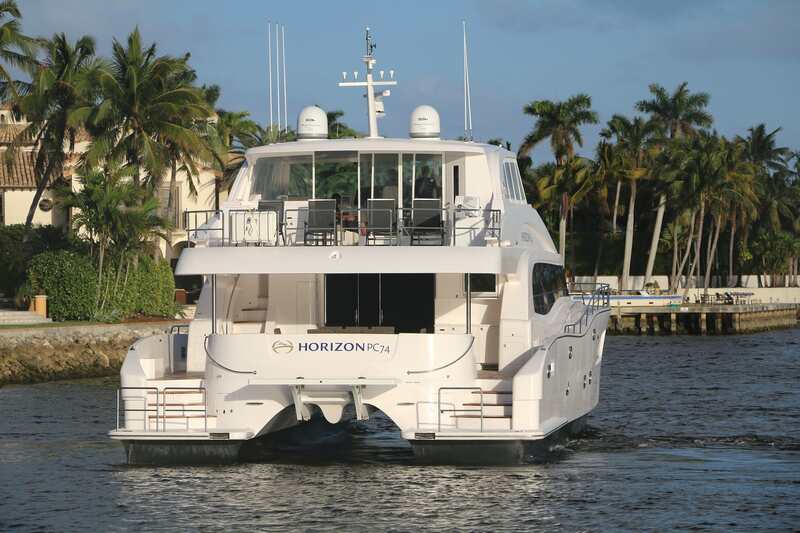 But, quality at a price, this Horizon PC74 sells for around $ 6.5 million USD. 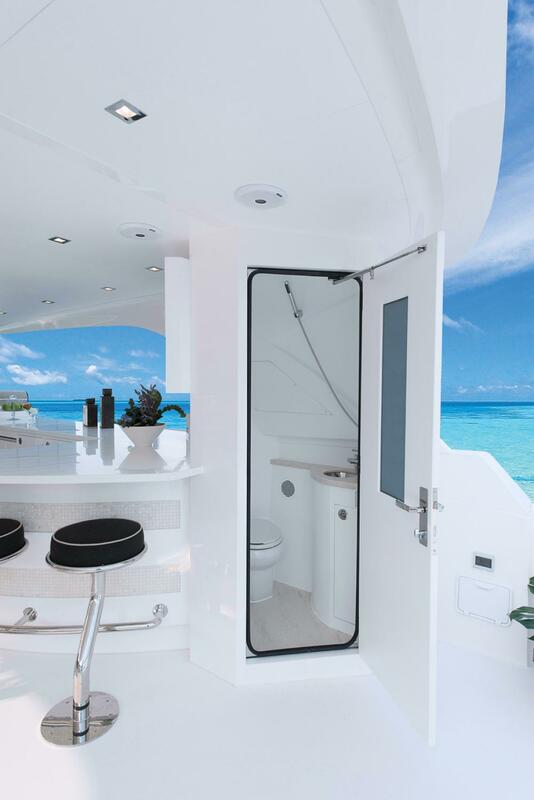 Do not hesitate to contact us if you are interested in Catamarans at 514-521-1221.